The snowy weather left a lot of workers at home. The weather caused the cancelation of schools in Virginia, West Virginia, Maryland, and D.C. 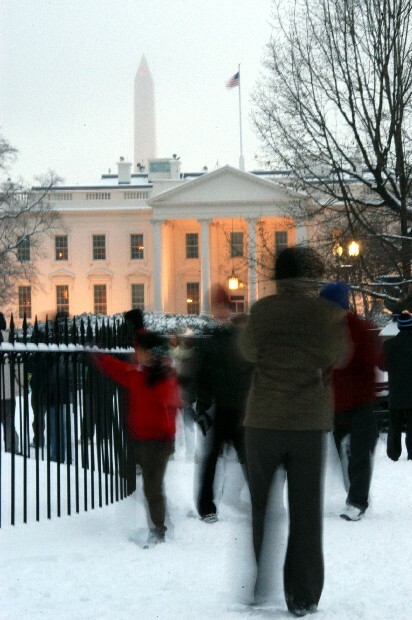 The snow only enhanced a visit to Layfeyette Square made by a bus of Chinese tourists looking at the White House. I was upset that both the classes I had today were cancelled.